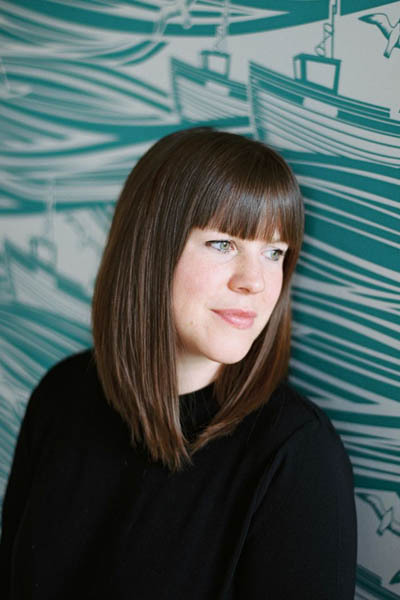 Collections of personal photographs are not only a much cheaper option to buying art but they also make a house or apartment feel homely. When I see certain photos in my home they make me smile every time I pass them. They also engage visitors and start funny conversations or encourage reminiscing. 1. Always make paper cut-outs of the photographs you want to hang (I always use newspaper). 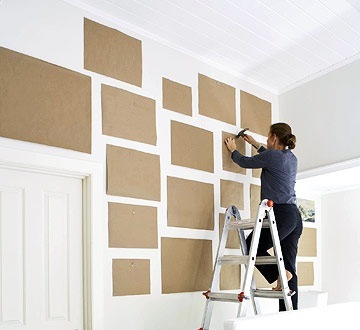 Stick these on the wall temporarily (with blu-tack or non-tacky tape) to help you map out the shape you want to create. 2. Always use two hooks when hanging large photographs as otherwise you will end up constantly straightening a wonky picture. 3. 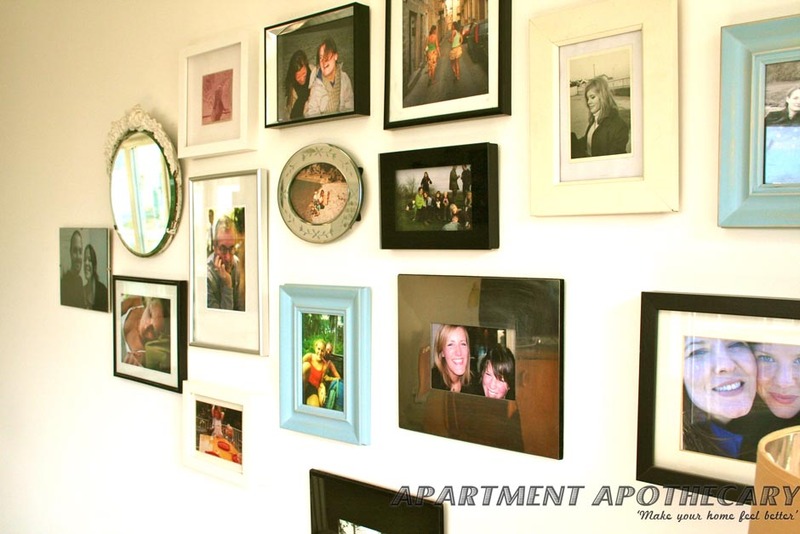 When hanging a group of framed photographs using an odd number will look best. 4. Usually you should follow the rule that photographs should be hung at eye level. Always consider whether the viewer will be sitting or standing. 5. 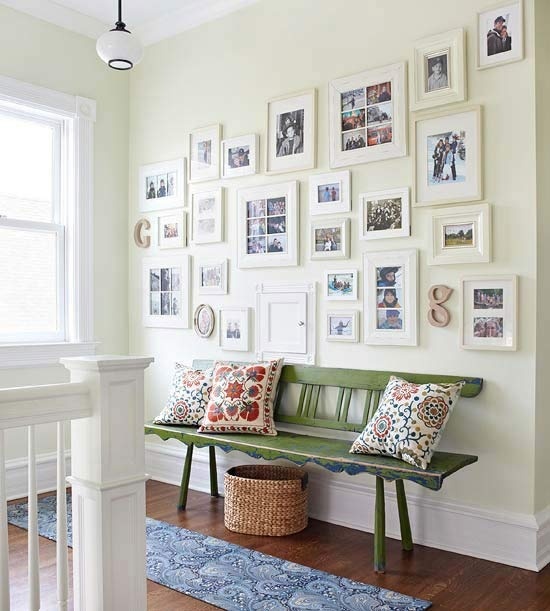 Consider the proportions of your room when deciding what size photographs to hang and which frames to use. If it is a large room with large pieces of furniture you will want to upscale the size of the frames. 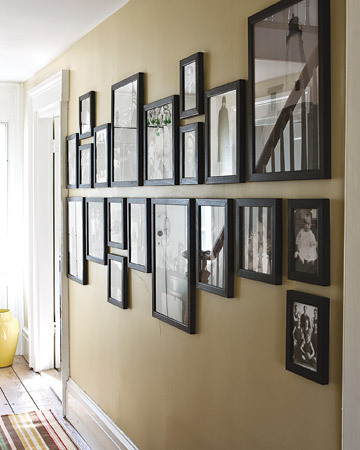 Use newspaper templates to help you plan your collection of photographs without leaving lots of unwanted holes in your wall. Look at these pictures of different collections of photographs to inspire your own collection. Old black and white family photographs combined with more recent images add interest. Add a mirror to your collection for variety. 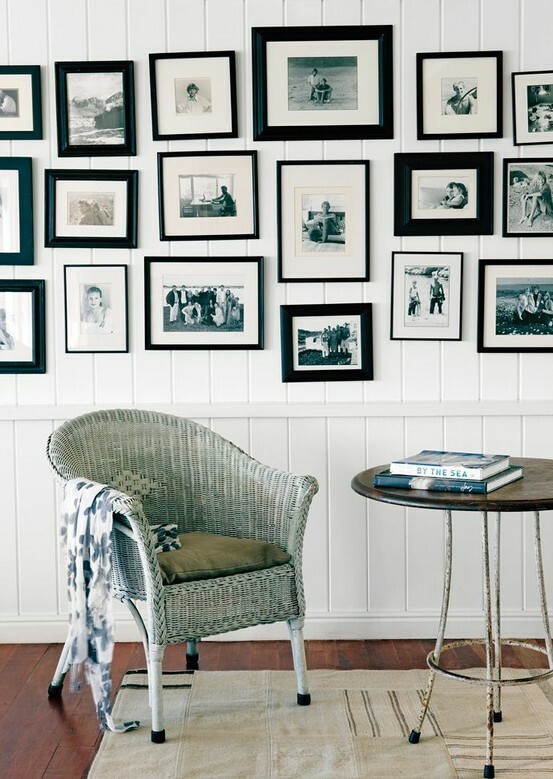 Larger photographs can be framed to make an impact. If you use the same frame for each photograph the overall effect is much more cohesive. Really cheap Ikea frames arranged freely with a clock added for variety. 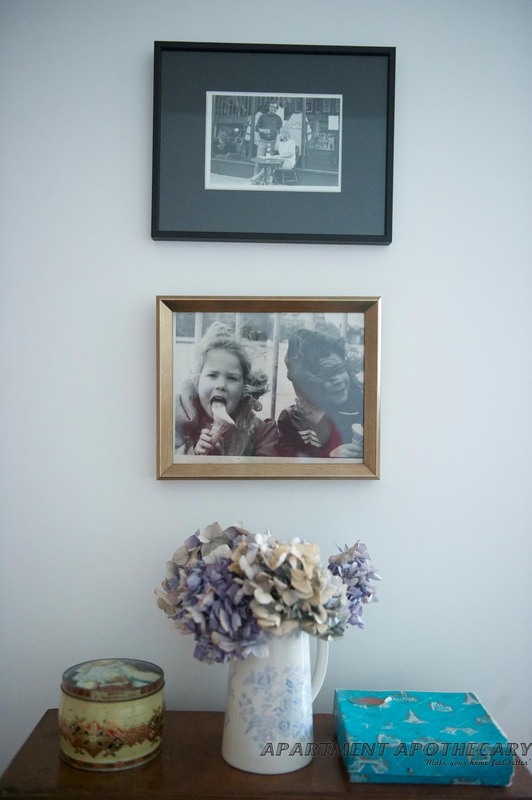 Displaying only black and white photos of the same size and using the same frames creates a much more uniform and sophisticated look. 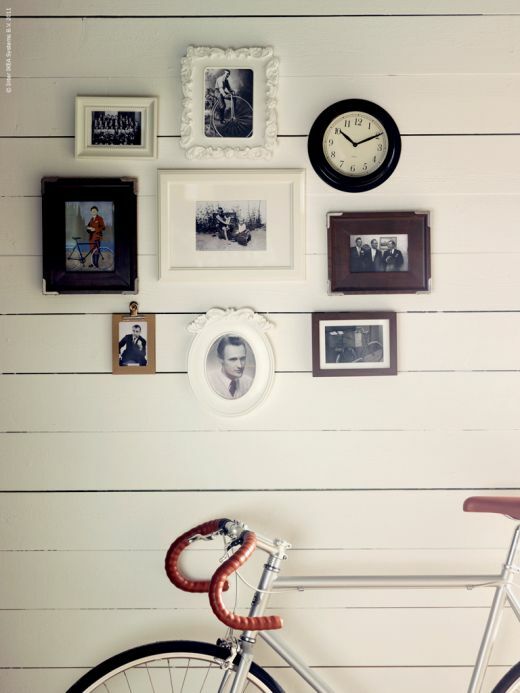 Old family and school photos instantly attract attention and generate discussion. 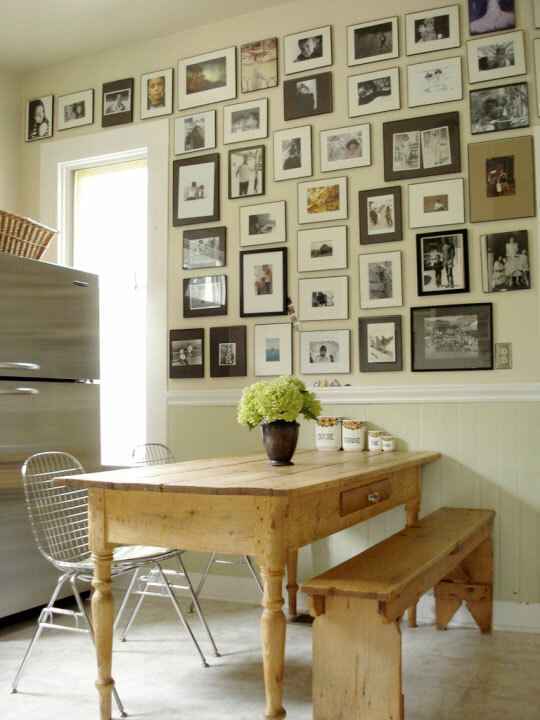 Even if collections of photographs are not hung properly they still add charm to a room. 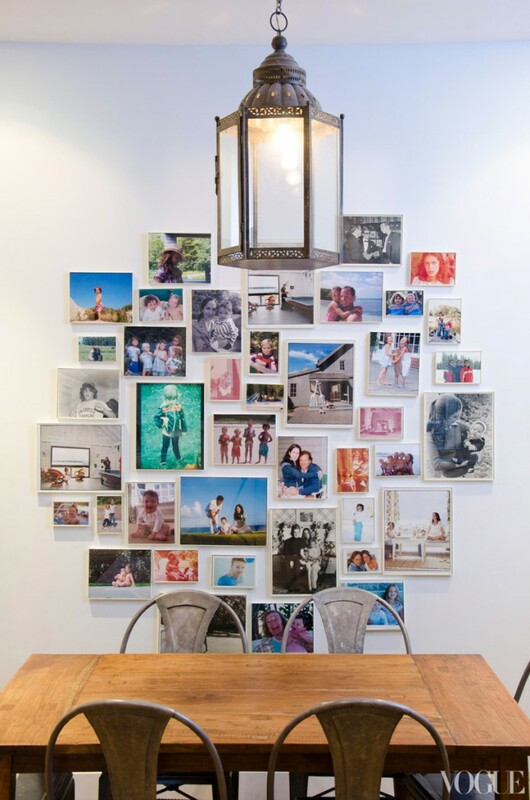 A very large collection of photographs can completely cover a wall. This look can be achieved by sticking a piece of masking tape in a straight line horizontally. 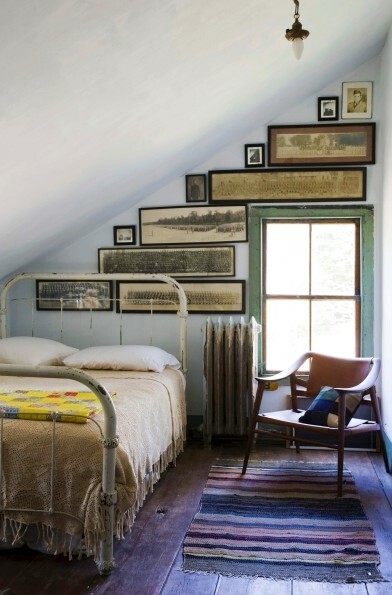 You then need to hang the pictures either above or below the line. 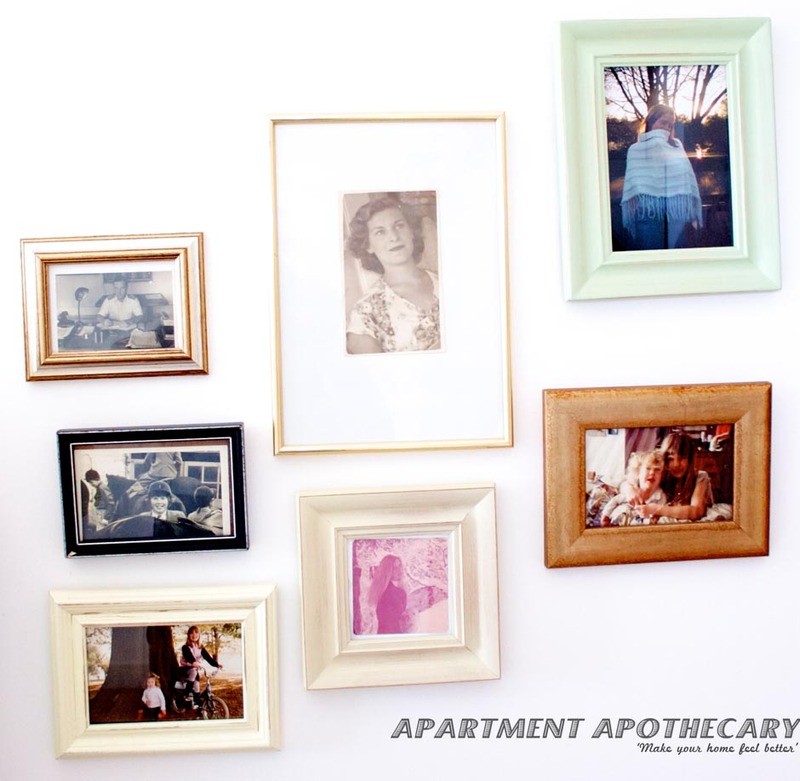 A collection of framed photographs in the hallway is always a good way to make an otherwise a potentially boring space a point of interest.